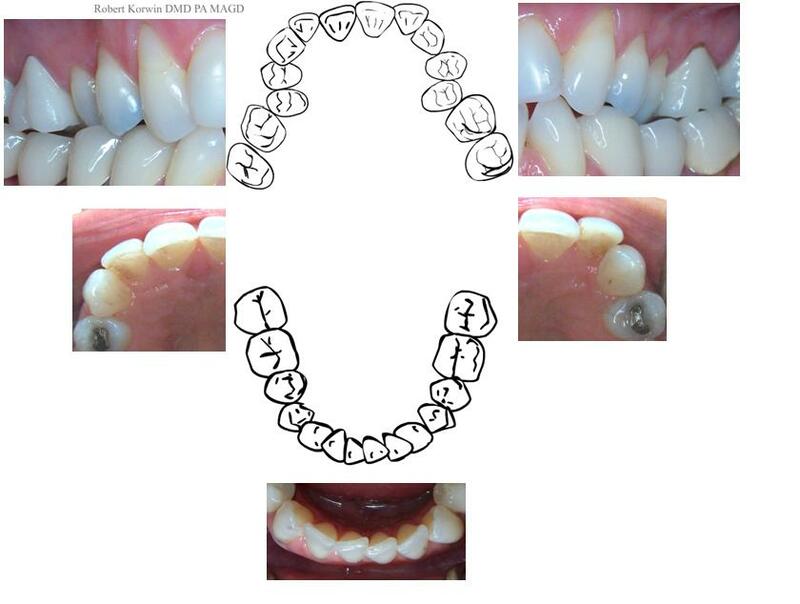 Dr. Robert Korwin has used Tooth Sandbox in three case presentations and has found it to be an indispensable tool. Two of the three patients accepted treatment, one with a $20,000 case and the other with $25,000 case. The third patient had recently undergone hip surgery and was unwilling to proceed with treatment. The patient presented with numerous teeth needing root canals in order to proceed with veneers. The patient did not believe the doctor's assessment and did not understand her need for additional treatment. Dr. Korwin presented the patient with the Tooth Sandbox occlusal view and other intraoral images shown below. Once she saw this presentation and Dr. Korwin explained her situation again, she understood her need for the root canals and then went on to accept a 10-unit veneers case.